MOORPARK, CA – March 1, 2010 – Gibbs and Associates, developer of GibbsCAM® software for maximizing programming efficiency of CNC machine tools and a Cimatron company, announced today that it will be demonstrating GibbsCAM 2010 during the WESTEC 2010 show at the Los Angeles Convention Center in Los Angeles, California from March 23-25, 2010 in booth #2236. This new release includes multiple new features, additions, enhancements, and productivity tools. 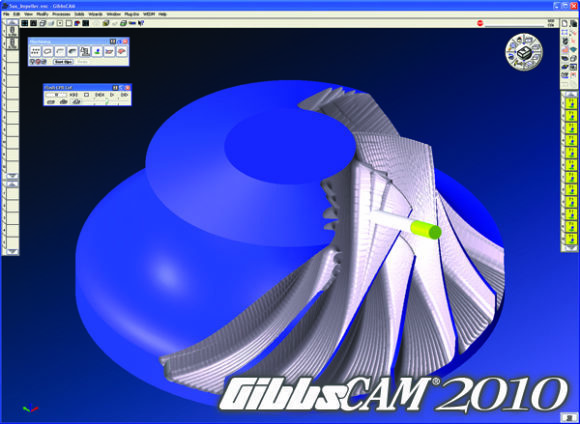 For more information about GibbsCAM, or to locate your local GibbsCAM reseller, go to www.GibbsCAM.com, call 1-800-654-9399, or email info@GibbsCAM.com.